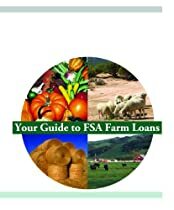 This guide was written for people who need assistance starting, expanding, or owning a farm or ranch. If you are thinking about borrowing money to start or expand your business, it is a good idea to ask yourself several questions before you begin. Before you borrow money, you need to invest time in learning about your options and the procedures to apply for a loan. This guide will help you identify concerns and questions you may have before you start the loan process. It may be helpful to use this guide with someone who can direct you to more sources of farming or ranching information, such as an experienced farmer or rancher, community-based organization, or other service provider. You may want to involve your family when reviewing this guide to make sure everyone understands the process and risks involved in owning a business and borrowing money.